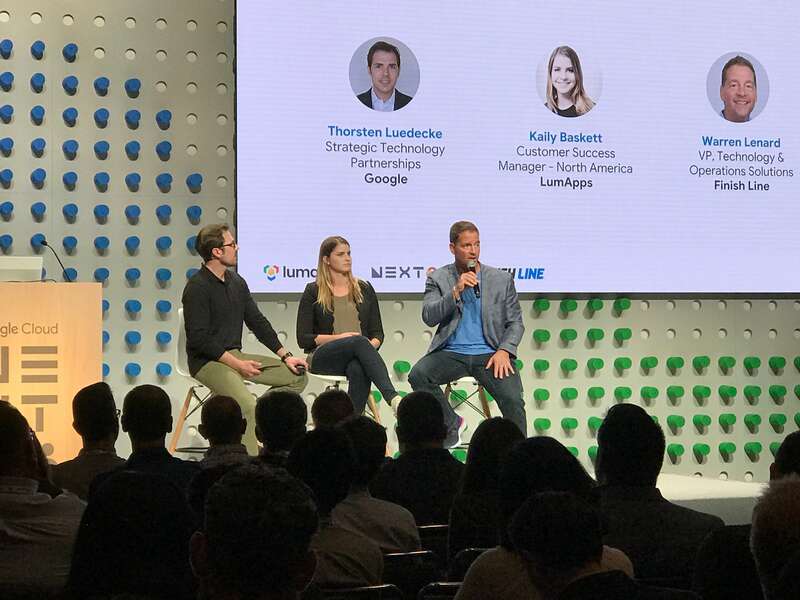 LumApps had a massive presence at Google NEXT ‘18 last week. Here’s what happened over three intense days at our biggest event of the year. Our team started July 23 at the Partners Summit – a great opportunity to touch base with our peers and start off the week right. On July 24, our team got ready for the crowds expected at NEXT ‘18. Expectations are high this time around, since in 2017 LumApps was a overachieving Google partner, bringing home an Innovation Award of the Year. You could find our friendly LumAppsers in yellow shirts at booth W1309 – which was almost never empty! Brent and Mary from our team took the stage at 4:35 pm to present LumApps to a host of new professionals. We hope you enjoyed our LumApps breakout session, Engage All of Your Employees in LumApps, the Social Intranet Recommended for G Suite, which saw around 65 participants! Then our LumApps team prepared for the joint Happy Hour that night with Maven Wave, AO Docs, BetterCloud and Cloudbakers. Without pictured proof, you can rest assured that it was a success! 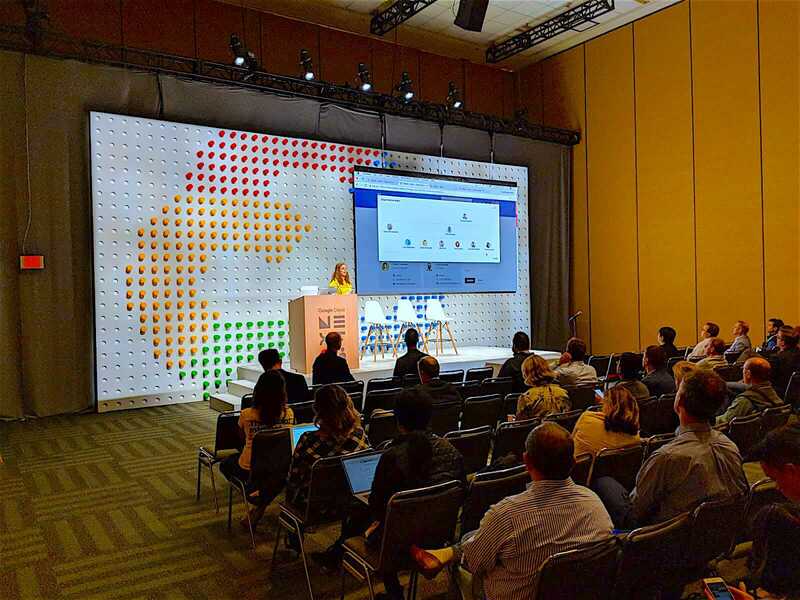 Our big event that day was a 1-hour session at 1:55 pm focusing on Digital transformation in Retail: How Finish Line Successfully Leverages Google Cloud and LumApps’ Corporate Portal Solution. 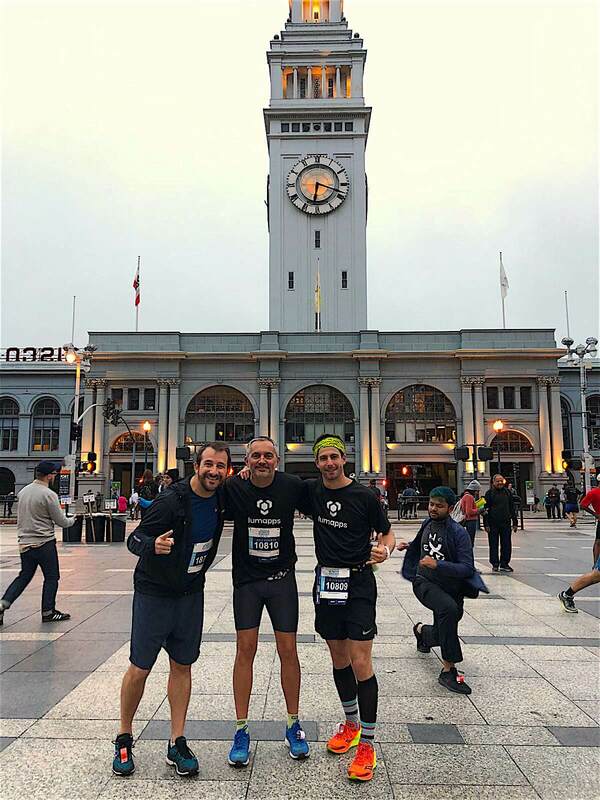 Kaily Baskett from our Austin team joined Thorsten Luedecke from Google and Warren Lenard from Finish Line. Attendees thoroughly enjoyed this engaging customer experience. We’re not surprised, since Finish Line is one of our best Retail stories! To share in the buzz, check out their customer page, or watch the whole session here. We closed the day with a Lightning Talk around our solution, some key uses cases and how we leverage Google technologies, etc. Shorter than a session and with a smaller audience, this intimate setting allows for an effective Q&A and a chance to connect with attendees in a more informal way. The last day was not our lightest. We officially announced one of our most important integrations to date: Google Cloud Search. Our CTO Elie Mélois took the stage at 11:40 am, joining a big cast -including Jayanth Mysore from Google Cloud – in the session: Google Cloud Search: A Fully Managed Secure Enterprise Search Platform from Google. As NEXT was closing, we still enjoyed a full booth until the last minutes! What a rewarding experience. 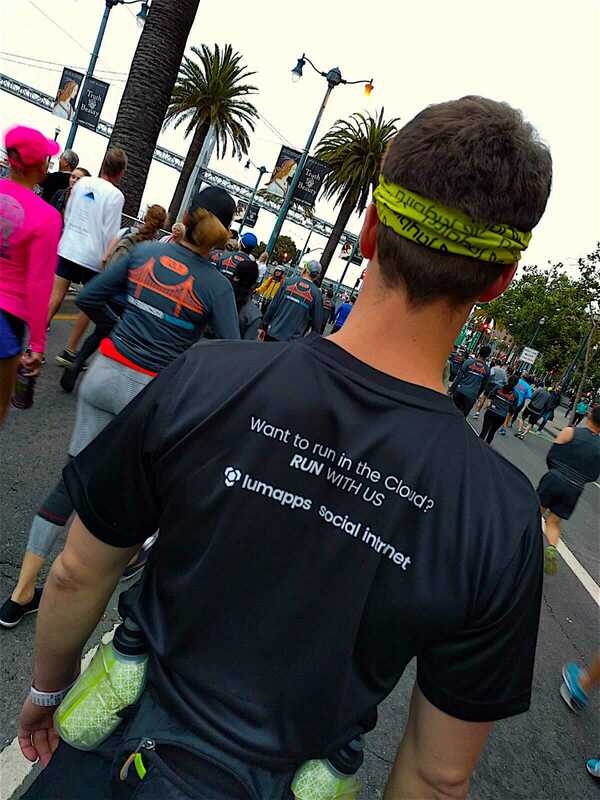 Our LumApps team will see you next year!